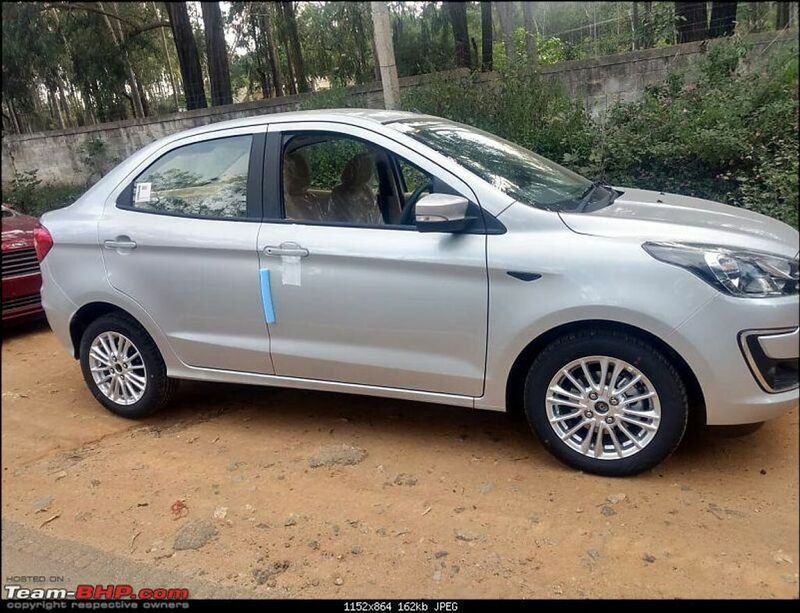 Ford will be introducing the facelift Aspire sedan in India soon. 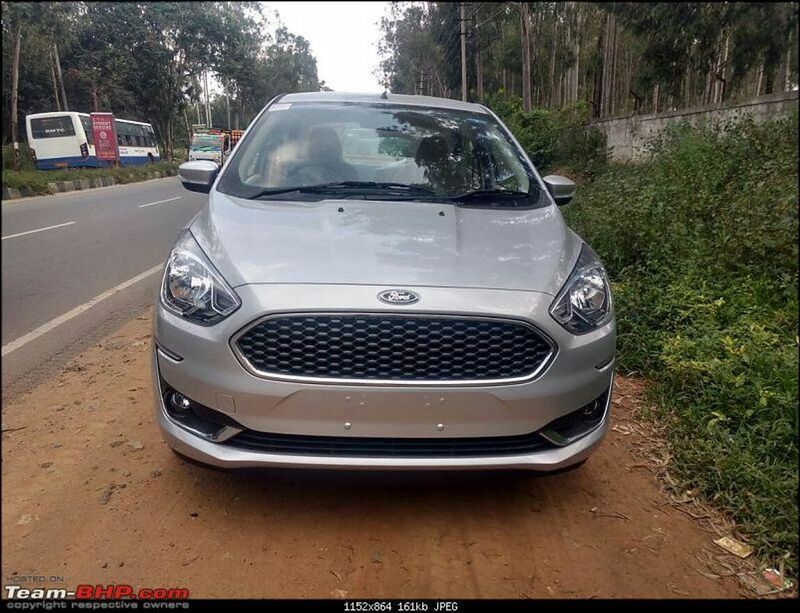 While the current Ford Aspire is struggling to compete with its rivals like the popular Maruti Dzire and the Honda Amaze we are hopeful that the facelift car could turn things in favour of Ford. 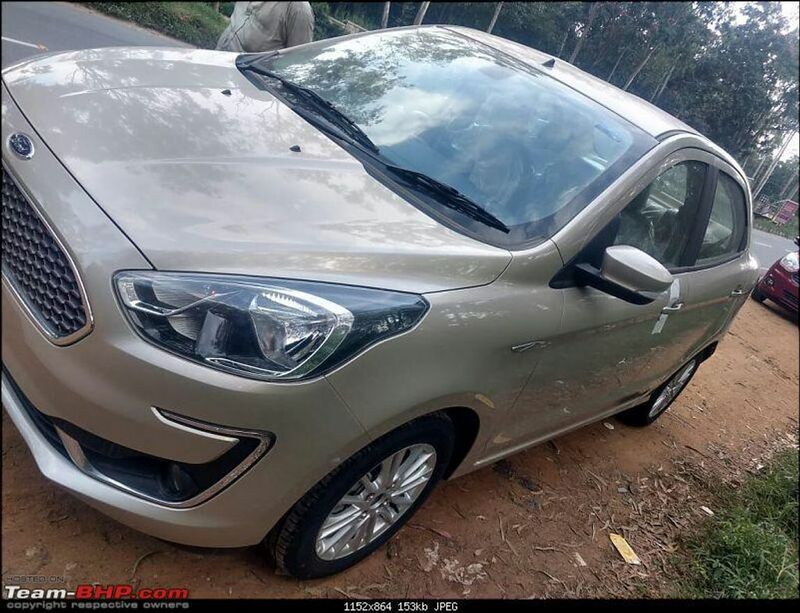 Recently the facelift sedan was caught while it was being tested and the good news is that there are some impressive changes made to the compact sedan to grab the attention of the potential buyers. 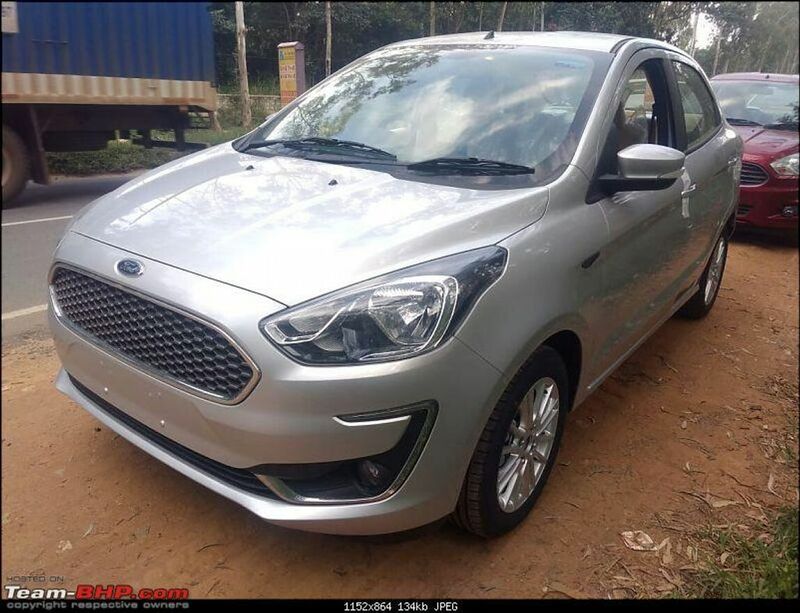 For instance, the Titanium trim of the facelift Aspire will feature the new FLY audio system which is the same system that you find in the current EcoSport. This new Audio system comes with FM music player with an Aux-IN, Bluetooth, Media playback from USB, Offline maps from MapMyIndia, while the screen also doubles up and act as a display for the rear view camera and even gets dynamic guidelines, lastly, it even gets telephone controls as well. However, there is a slight disadvantage though, the FLY Audio system misses out on Android Auto, Apple CarPlay, and Voice Command which were available with the SYNC3 audio system which it replaced. The dashboard looks quite neat with the new FLY audio system and its screen positioned in the middle. 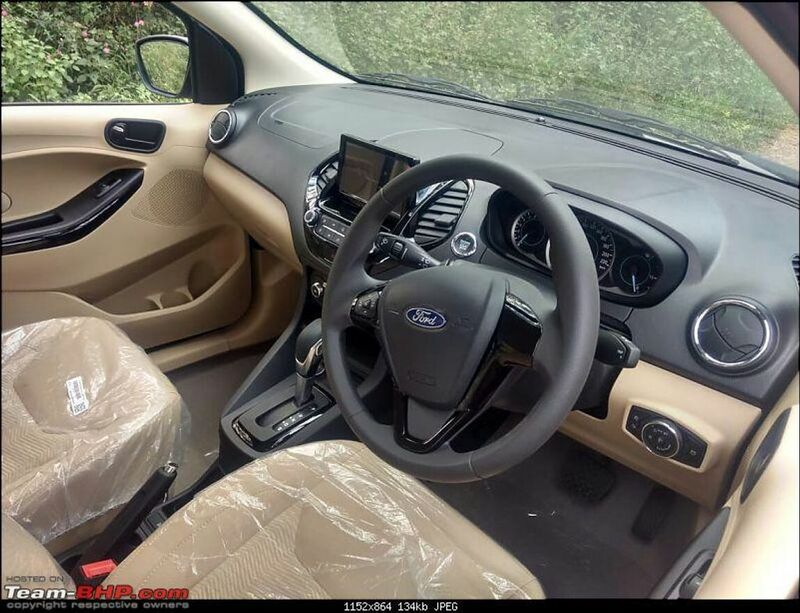 The car picture came with a Black and Beige dashboard and interior while the push start button has been repositioned near the instrument cluster just behind the steering wheel. Apart from all these changes to the interior, the facelift Aspire gets few cosmetic updates in the form of a new mesh grille with chrome surrounds. 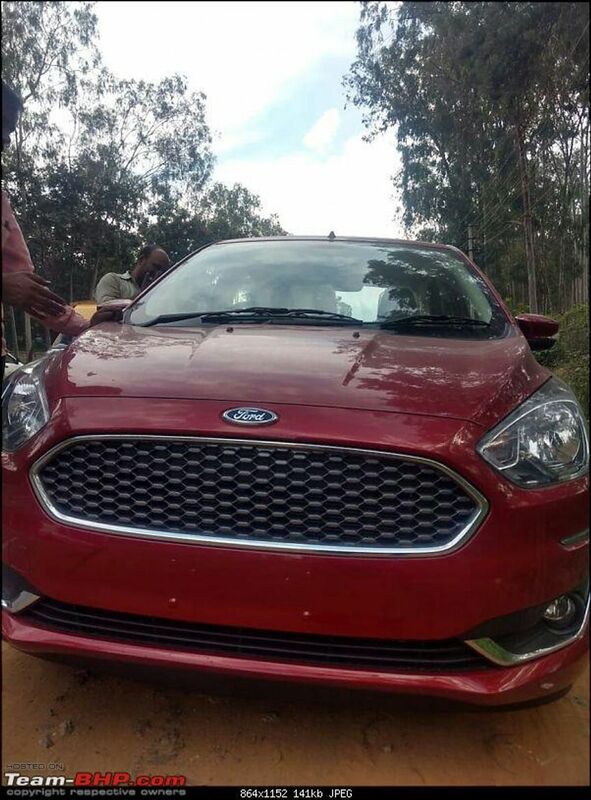 This mesh grille looks identical to the unit you will find in the Euro Spec Ford KA+. The front profile also features a newly designed bumper. 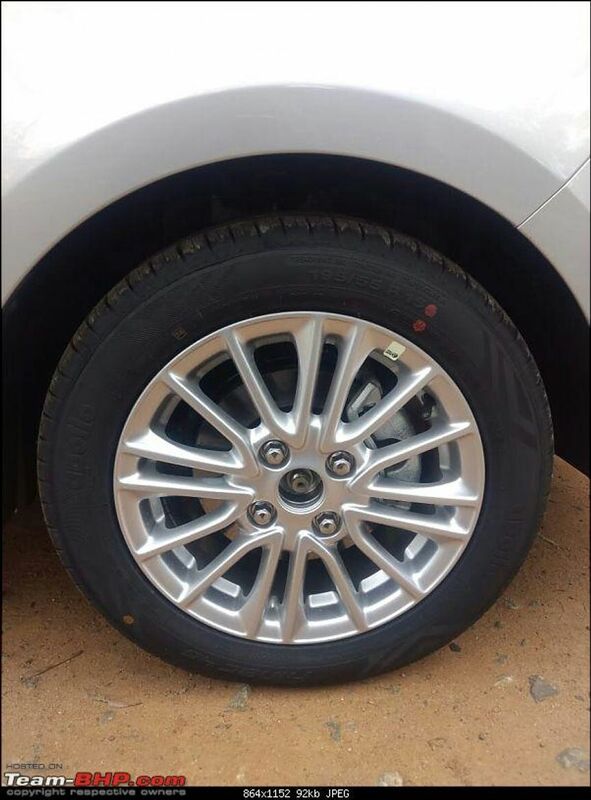 Towards the side profile, the car in these pictures can be seen sporting a new set of multi-spoke alloy wheels which went well with the overall styling. You will also notice some minor changes made to the bumper at the rear. 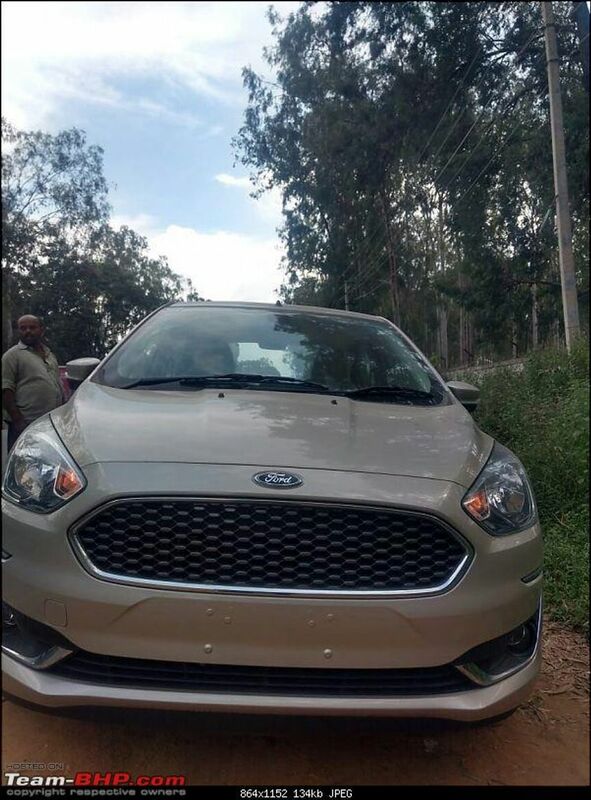 The good thing is that changes are not restricted to cosmetics only the facelift sedan will be powered by a new 1.2 Litre three-cylinder petrol heart from Ford’s Dragon Fly engine family. This engine will replace the current 1.2 Litre four-cylinder unit. 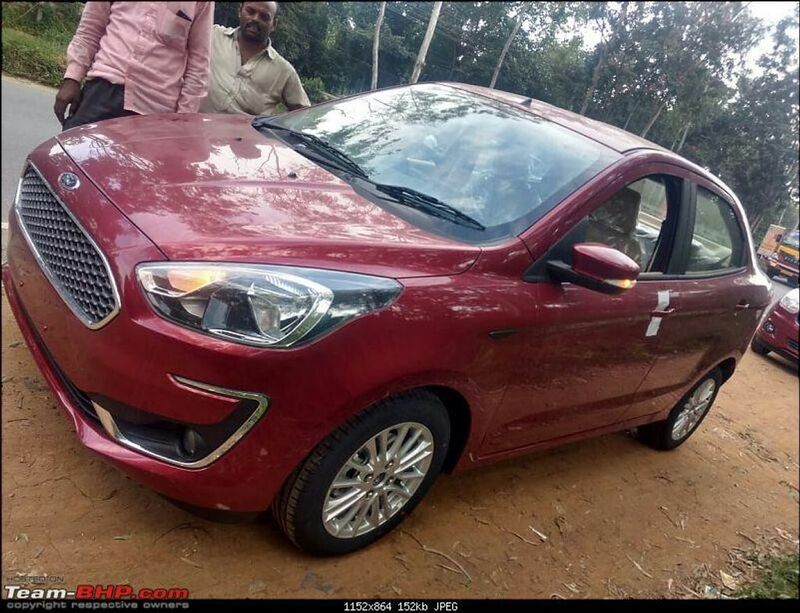 The new 3 cylinder engine will produce about 95 hp and a peak torque of 120 Nm and will be paired to a slightly modified 5-speed manual transmission while there is also a 6-speed Automatic transmission on offer as well (can be seen in these images). The diesel variant will continue with the same 1.5-litre turbocharged unit. Paired to a 5-speed manual transmission this unit produces about 100 PS of peak power and 215 Nm of torque. 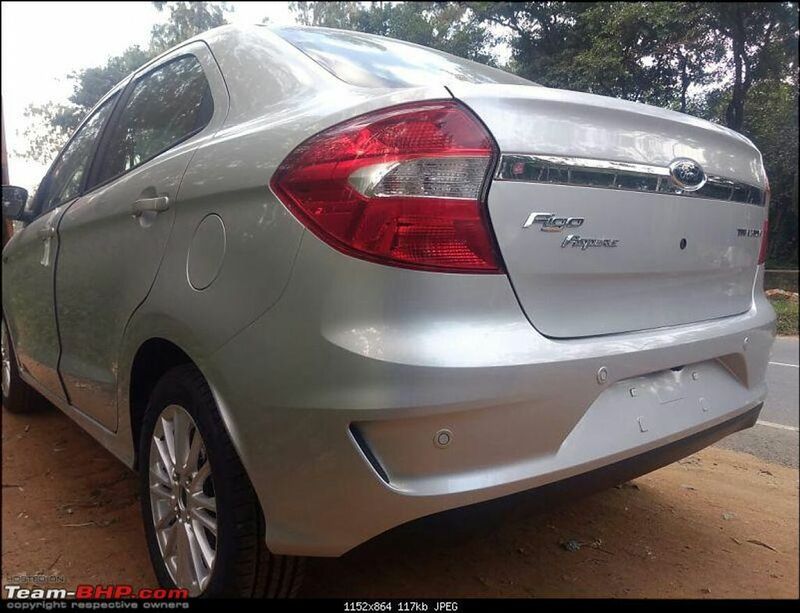 As far as the launch dates are concerned to expect the new Ford Aspire sedan to launch during this festive season.